rielly is using Smore newsletters to spread the word online. 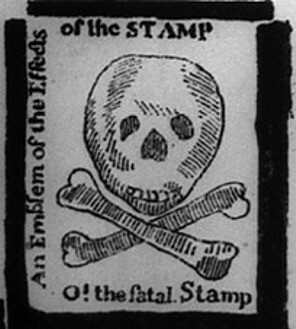 The Stamp Act was a act passed on March 22, 1765 by the parliament of Great Britain. The Stamp Act imposed a direct tax on the colonies of British America requiring that all printed materials in the colonies be produced on a special paper produced in London. The Stamp Act was very unpopular among the colonists, they felt as if their was a violation of their rights as Englishmen they felt that only the colonial legislatures should be able to enforce taxes like that.